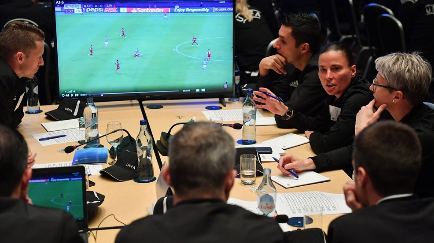 UEFA’s top European male and female referees have been in training in Lisbon – preparing for the second half of the campaign, as well as for the introduction of video assistant referees (VAR) in the UEFA Champions League. Hungary's 2 elite officials, Viktor Kassai and Katalin Kulcsár were amongst those attending. A challenging second half of the season awaits Europe’s top referees – with UEFA confident that the match officials will take an important period for refereeing in their stride. The 122 male and female referees – 46 of them newcomers to the international list - have spent the week in Lisbon at UEFA’s latest annual winter gathering, in preparation for assignments in UEFA’s club and national team competitions over the coming months. Balázs Berke and Katalin Sipos were attending as new comers. 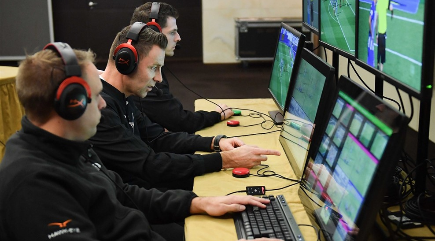 For top European male match officials on the advanced course, the four days in Portugal saw training and fine-tuning work for the imminent introduction of video assistant referees (VAR) in the UEFA Champions League, starting in the Round of 16, which kicks off on 12 February. 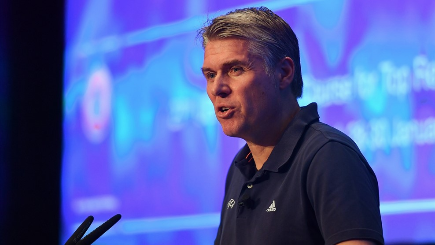 Last year, VAR was incorporated into the Laws of the Game by football’s lawmakers, the International Football Association Board (IFAB), following trials in major competitions. The video assistant referee reviews decisions made by the referee in certain key match situations with the use of video footage and a headset for communication. UEFA’s Executive Committee decided to introduce VAR in UEFA competitions last September, and the committee took a subsequent decision in December for VAR to be deployed from the start of this season’s UEFA Champions League knockout phase. In addition, VAR is to be used at this season's UEFA Europa League final in Baku, the UEFA Nations League Finals in Portugal in June and the UEFA European Under-21 Championship final tournament in Italy in the same month. “We don’t need nice or popular referees,” Rosetti said. “We need strong personalities with a professional attitude, who show courage in taking decisions and act as role models for other referees around Europe”. 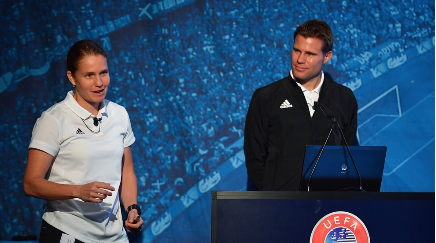 The new referees were also given wise words of motivation by two officials who have reached the European summit – Germany’s Felix Brych and Switzerland’s Esther Staubli – who advised them in particular about their important role as ambassadors for UEFA and European football. 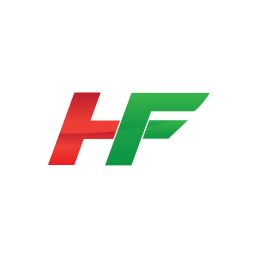 Fitness training was a key item on the agenda in Lisbon, with the newcomers in particular tested in sprint exercises and undertaking the yo-yo intermittent endurance test – the aim being to check their physical condition. “Challenge yourself to make progress – we are there to help you,” UEFA referee fitness expert Werner Helsen told them. During the course, referees were reminded of the need for consistency and uniformity in decision-making. The new officials in particular were informed of the standards that UEFA expects of them as they set on what they hope will be long and successful careers. 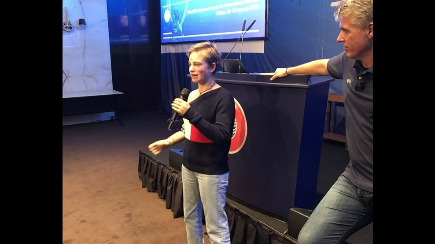 The week ended with an inspirational moment – courtesy of special guest Beatrice Vio, the Italian wheelchair fencer who has won the world, European and Paralympic titles in recent years..
Viktor Kassai and Katalin Kulcsár, our 2 elite referees, are due to attend the UEFA 27th Advanced Referee Course later this month. The course is due to be held in Lisbon, Portugal. They are due to arrive for the course during the evening of Sunday 27th January with the course lasting until 31st January. The main topic on the men's course will be VAR, which is due to be implemented from the Champions League knockout stage. Kassai has already been named as one of the 24 elite referees eligible to be appointed for games involving VAR, either as referee or in the VAR role itself. He is the only one of our referees eligible. Neither István Vad nor Tamás Bognár are attending the course and will therefore remain ineligible. Balázs Berke and Katalin Sipos will be heading to Lisbon the day before our elite referees, to attend the UEFA 28th Introductory Course for International Referees. The new referees course starts during the day of 27th January and also runs to the 31st. During the course Katalin Sipos will be required to take her English test, Balázs Berke has already passed his English test. All FIFA level referees are required to be proficient in English. Due to the overlap the new referees will have the opportunity to meet and train with the more experienced referees. All 4 will be required to take and pass their FIFA fitness tests during the course. It should be noted that if they do not travel back to Hungary until Friday 1st February, it is not inconceivable that they will be missing from the appointments when the NB1 returns on 2nd February. FIFA have published the full updated list of referees and assistant referees who will appear on the FIFA list for 2019. As previously reported Balázs Berke has replaced Sándor Andó-Szabó on the mens referee list. As expected Balázs Szalai has replaced the retiring Zsolt Varga and Gergő Vígh-Tarsonyi has replaced Oszkár Lémon on the men's list of Assistant Referees. On the women's list, Katalin Sipos has replaced Gyöngyi Gaál, who has retired, and Noémi Baráth has been added to the list of Assistant Referees. Annamaria Tolnay has been added to the Men's Futsal referee list. The full list is below. Congratulations to all of the newly promoted match officials. 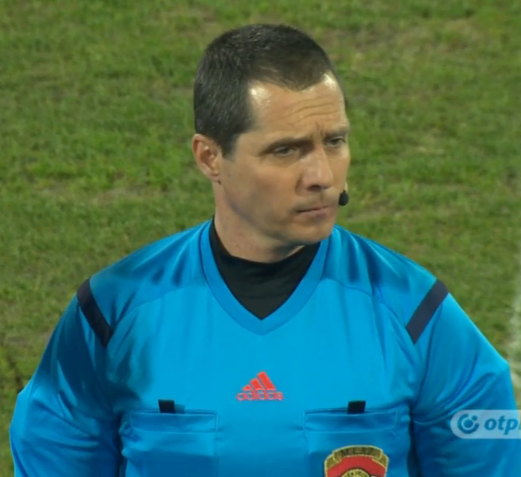 Péter Solymosi voted NB1 referee of 2018. Csak Foci have announced the result of the votes for the NB1 referee of 2018 and my personal favourite NB1 referee, Péter Solymosi, was the clear winner with 4/12 votes cast. István Vad came 2nd with 2/12 votes, whilst Viktor Kassai, Balázs Berke, Ádám Farkas, Zoltán Iványi, Ádám Németh & Csaba Pintér all received 1 vote each.